PRP is a concentrated plasma of blood including platelets, growth factors, leukocytes, and cytokines. PRP treatment method has been used in Europe, United States, and the Far East for many years in different specialties. It is used for indications of wound healing, soft tissue recovery, and hair loss. What Is PRP Hair Treatment Used For? PRP treatment for hair is an innovative treatment for hair loss or hair thinning caused by androgenic alopecia. PRP helps to prevent hair loss and strengthen weakening hair. PRP is also used at all hair transplantations performed at Dr.Serkan Aygın Clinic to improve hair transplantation results. PRP treatment helps post-operative healing process as well as positively affecting hair growth and hair thickness after hair transplantation operations. How Is PRP Application Performed? PRP applications are performed in hospital. Process begins with collecting blood from patient and continues by spinning the blood sample in a centrifuge to separate the platelet-rich plasma from the other components of whole blood. Then this concentrated plasma is injected into the scalp of the patient. Whole process takes nearly 45 minutes. Who Can Get PRP Treatment? Men and women who have thinned hair are good candidates for PRP hair therapy. The treatment should be repeated in several sessions according to doctor’s prescription. How is PRP used in hair transplantation? Dr. Serkan Aygın has formed his unique approach to hair transplantation operations by following the latest technologies and thanks to the experience coming from a huge number of satisfactory results and happy patients. Micro FUE technique supported with PRP is performed in all hair transplantations at Dr.Serkan Aygın Clinic. 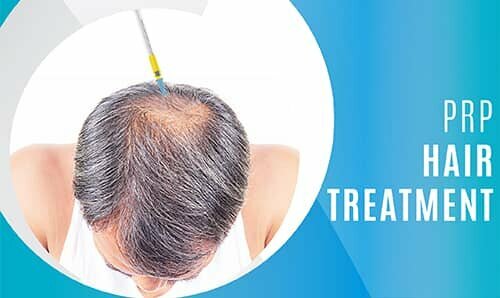 Hair transplantation operations supported with PRP enables tissue to heal fast, makes hair follicles remain active growth phase for a long time and helps their adaptation to the transplanted area after the operation. PRP with growth factor increase hair-growing speed after the operation since it generates new micro vessels in transplanted area and induces hair follicles to receive oxygen and nutrition in short period.